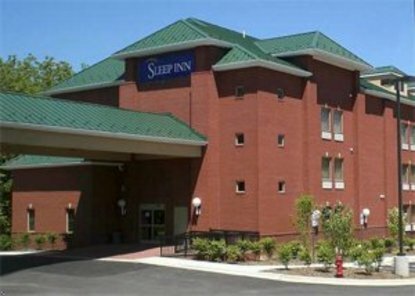 The Sleep Inn & Suites in Upper Marlboro, Maryland provides visitors to the Washington D.C. area with a good low-cost lodging option. The location of this hotel puts it within very close proximity of Interstate 495, the Ronald Reagan Washington National Airport, Andrews Air Force Base, FedExField, and Six Flags America. Also within easy reach of the Sleep Inn & Suites Upper Marlboro is everything else that the Washington D.C. area has to offer. This includes such great attractions as the White House and the Smithsonian Institution. Guests also don’t have to go far to find restaurants, bars, and other entertainment venues. A convenient location isn’t the only thing that the Sleep Inn & Suites Upper Marlboro has to offer. Guests can take advantage of a healthy array of free perks, for example. This includes free breakfasts, free coffee, and free high-speed internet access. A public computer with internet access is available for those who wish to take advantage. In relation to general facilities, the Sleep Inn & Suites Upper Marlboro also features a meeting room and an exercise room. In the 70 rooms and suites, a number of standard amenities serve to complement the tasteful decor. Among the standard in-room amenity highlights are fridges, cable TV, curved shower rods, hair dryers, and work desks. Some of the rooms have sofa sleepers and whirlpool baths, and guests can choose from both smoking and non-smoking units.